Adidas Originals and Donald Glover have ficially launched “Donald Glover Presents,” which includes a range new products alongside the premiere a series short films. 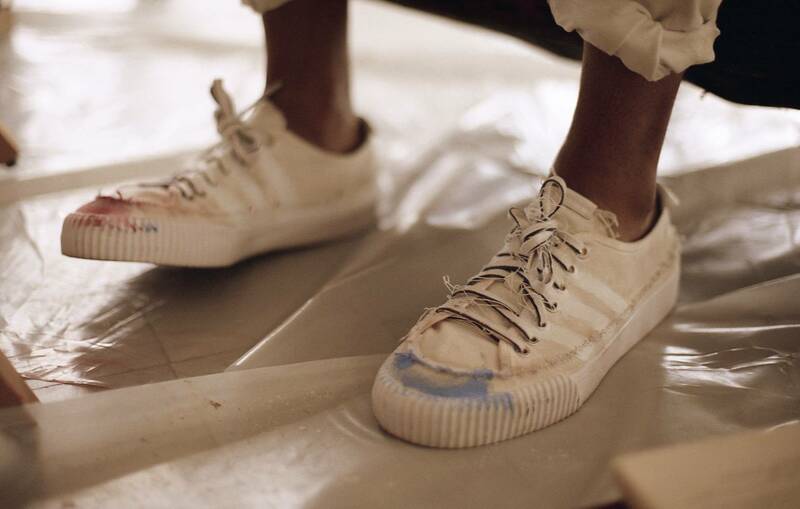 Donald Glover Presents reimagines three classic Adidas styles, the Nizza, the Continental 80, and the Lacombe, all which are built on white canvases. 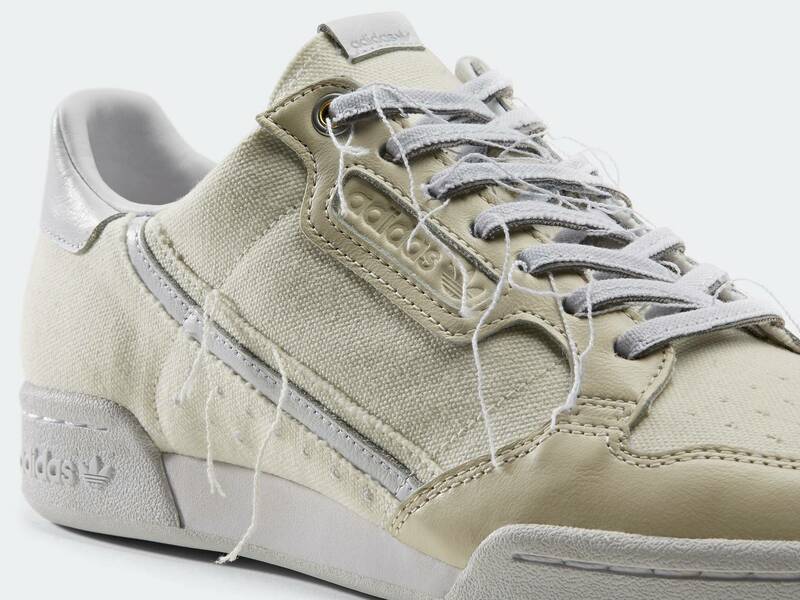 According to Adidas Originals, with a focus on the personal narrative that worn-in sneakers can hold, and the wealth experiences they bear, the collection is inspired by subtle imperfections. 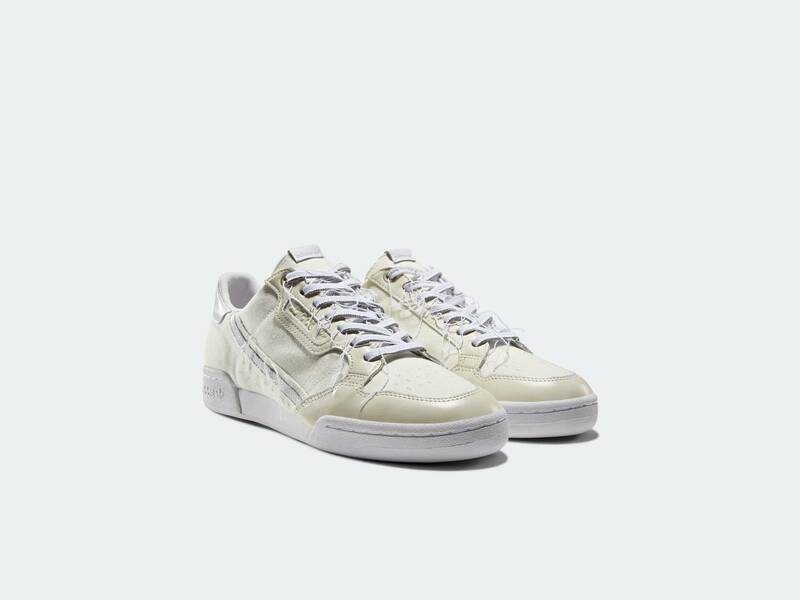 The shoes feature a series deconstructed details, such as uneven stitching, inside-out golden eyestays, and a custom 3-Stripe mark that evokes hand-painting. Additionally, the edges the canvas are not stitched down, allowing them to fray over time. Further bringing the theme wear to life, a moth – the symbol the collaboration – appears on the heel bumpers and insoles the footwear. 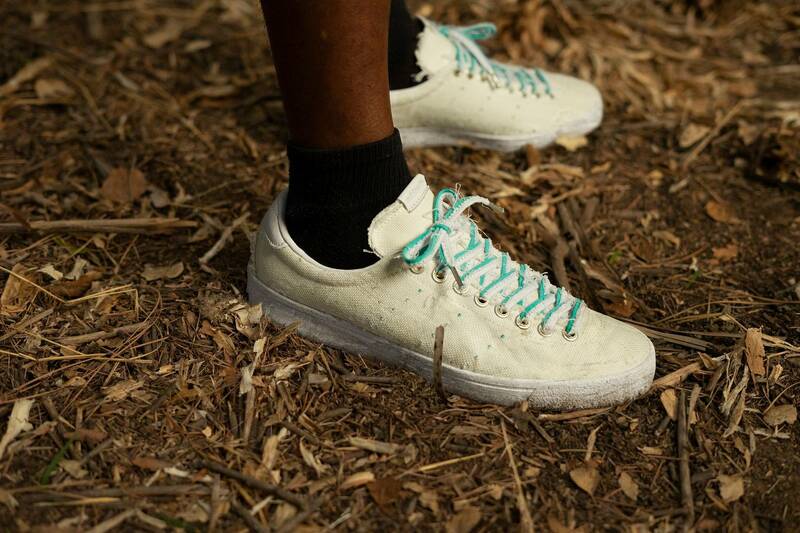 Each pair is packaged inside an inside-out Adidas Originals box that opens with a tear strip and comes equipped with three sets custom shoelaces designed to fringe with wear. As mentioned, Donald Glover Presents will also include a series short films, starring Glover and actress-comedian Mo’Nique with a cameo by pressional skateboarder Na-Kel Smith, produced by Syl Zakhary Mamag Studios with Wolf Taylor and Fam Rothstein Royalty and Wolf and Rothstein. The films, written by Sam Jay with Jamal Olori Royalty, bring to life a story defiance, subversion, and creative expression. Embracing acts fate as opportunities for honesty, growth, and understanding, the films show that worn shoes are not merely “dirty”; they are a reflection one’s personal experiences. The series is directed by Ibra Ake Royalty, supported by creative consultant, Sing J Lee Mamag Studios. All three sneaker collabs will be available globally on April 26. Take a look at the short film below, followed by some additional shots the kicks. All three styles will be available globally on April 26th. ABC Studios has signed a 3-year overall deal with Get Lifted Film Co., which is a production company run by John Legend as well as by Ty Stiklorius and Mike Jackson. As part of the exclusive deal, the two companies will develop scripted TV shows together, which will be shown on a full range of platforms. Previously, Get Lifted had a 3-year first-look deal with Sony Pictures TV. Patrick Moran, who is the President of ABC Studios, issued a statement in response to the announcement. He said that he believes that John Legend and his partners at Get Lifted represent a strong and modern viewpoint. He added that no one in the industry is surprised by the success that they have had in developing “timely and unique” stories. Get Lifted also issued a statement in response to the announcement. Partner Mike Jackson said that they were excited to work with ABC Studios, and that they look forward to developing projects that their growing audience will enjoy. Get Lifted has successfully developed TV shows for many different networks. These networks have included ABC, Fox, HBO, MTV, NBC, Netflix and Showtime. They were also executive producers of the Oscar-winning film La La Land, which starred Emma Stone and Ryan Gosling, and Jesus Christ Superstar Live in Concert, which was broadcast on NBC and won an Emmy Award. More recently, the company’s film Monster screened in competition at the 2018 Sundance Film Festival and their documentary United Skates won the Audience Award at the 2018 Tribeca Film Festival before premiering on HBO earlier this year. When Marvel’s programming started being taken f Netflix, superfans the studio started to worry about how they would be able to regularly watch their favorite superheroes. Soon after, it was announced that Disney would be unveiling its own streaming service, which would include Marvel films, shows, and much more. Yesterday, Disney CEO Bob Iger made some huge announcements about the upcoming streaming service, titled Disney Plus, revealing pricing information, releases dates, original content and other general information. Disney announced yesterday that they would be investing $1 billion into original programming, meaning that we can expect an insane amount production value from the historic creative corporation. By 2024, that amount should double as they expect to be priting from the new service by then. 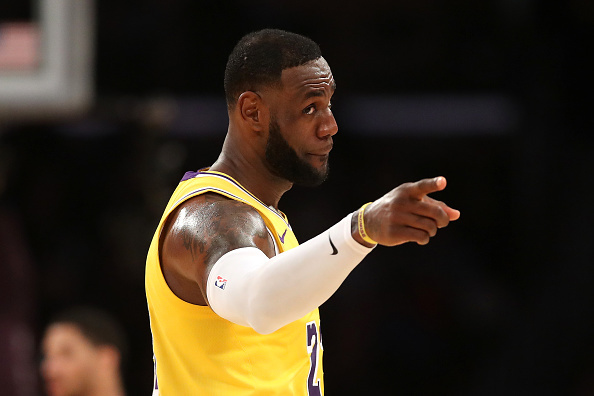 With the focus being placed on original shows and movies, fans were stoked to see what they could expect from the platform. With all the Marvel hype right now, it only made sense for Disney to unveil a new clip from Avengers: Endgame, which premieres later this month. They also showed some exclusive footage from the upcoming Star Wars series The Mandalorian. 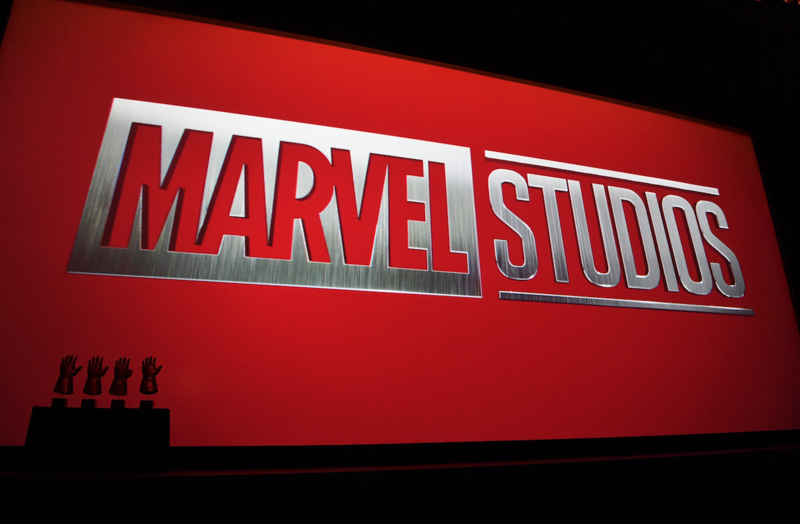 Marvel spinfs will also be debuting on the platform, including one about Loki from the Avengers and WandaVision featuring Scarlet Witch and The Vision. In case you’re worried about adding this to your monthly bills, the pricing information made everybody breathe a sigh relief. Upon its launch on November 12, Disney Plus will cost users $6.99 per month and $69.99 a year. Unfortunately, this means that Disney titles will likely disappear from Netflix by the end this year. However, it will now be bunched in one special place. Are you looking forward to the launch? Soulja Boy seems to always be in the studio. Whenever there’s a lull in the music world, you can always just head over to his SoundCloud page and you’ll easily be able to listen to about three new songs on a daily basis. Seriously, we don’t even want to know how Soulja Boy does it but somehow, some way, he manages to drop a song pretty much every day. 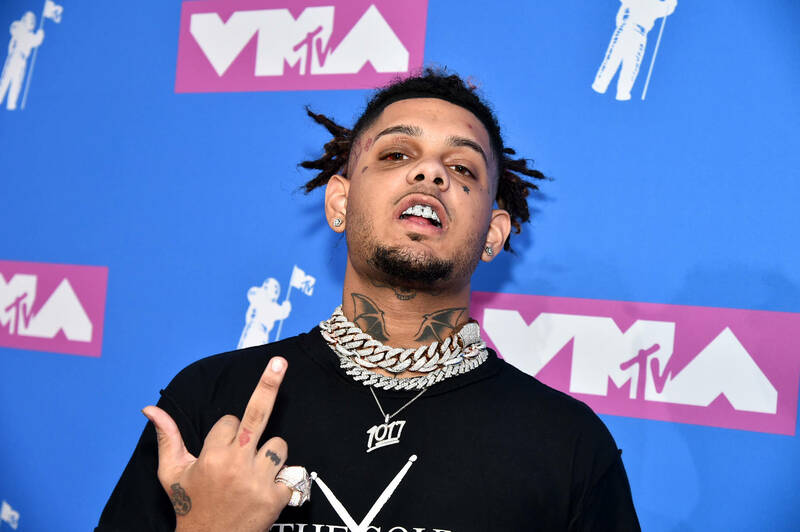 His work ethic is matched only by somebody like Chief Keef, who has also proven himself to be a studio hog. If ever you’ve wondered how much it will run you to get a feature from Big Drako, your answer has arrived because Soulja let us all know on his Instagram story. Drako may be a multi-millionaire but he still wants to help out any up-and-coming artists, fering up his going rate on social media for anybody that may be interested. 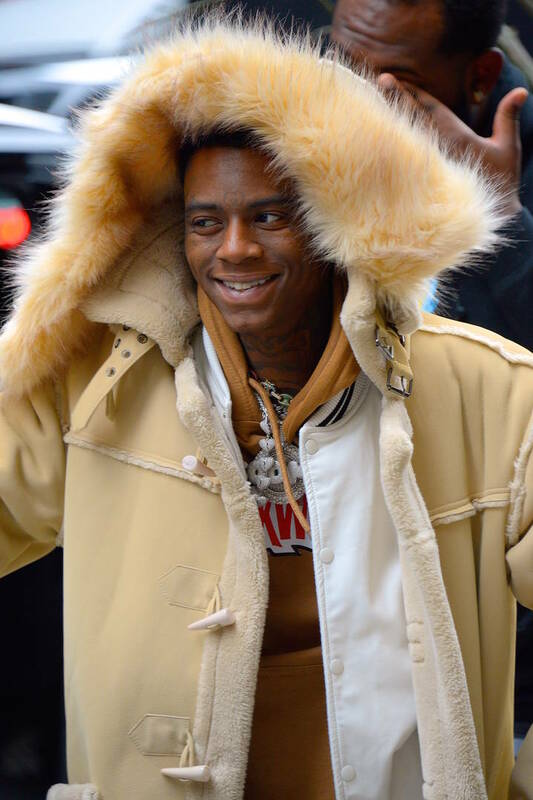 Telling everybody that he was spending time in the studio, Soulja Boy informed his audience that he would be recording verses for anybody that pays him $10K. Considering the fact that Soulja records several songs every day, he’s definitely about to add to his bankroll today. 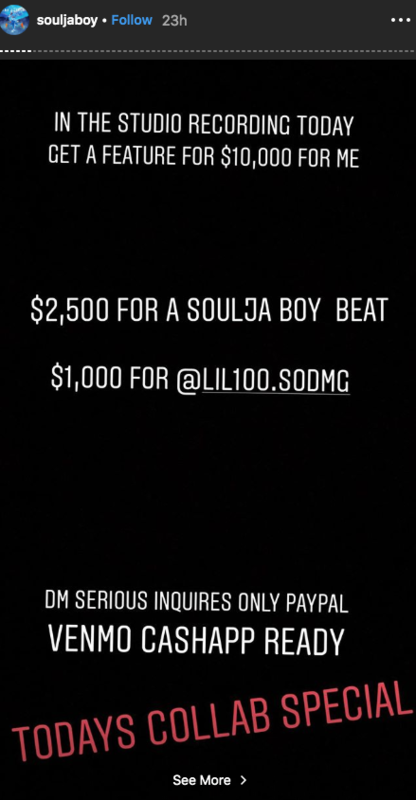 If you’re not down for Soulja’s vocal contributions, you can buy one his beats for $2,500. With the number hits that he’s been part , do you think he should be charging more or is this spot on?